Thomas Tallis’s incomparable Gaude Gloriosa has long been recognised as one of the crown jewels of Tudor music, but its origins have been hotly debated. Surviving only in Elizabethan sources, it has frequently been considered to hail from the reign of Queen Mary. David Skinner’s discovery that a contrafact, hidden behind plaster until the 1970s, uses the music of Tallis’s grand antiphon to set words from Queen Katherine Parr’s Ninth Psalm, Se Lord and Behold, brings the origins of Gaude Gloriosa forward by at least a decade (see the feature in December 2017’s Limelight). 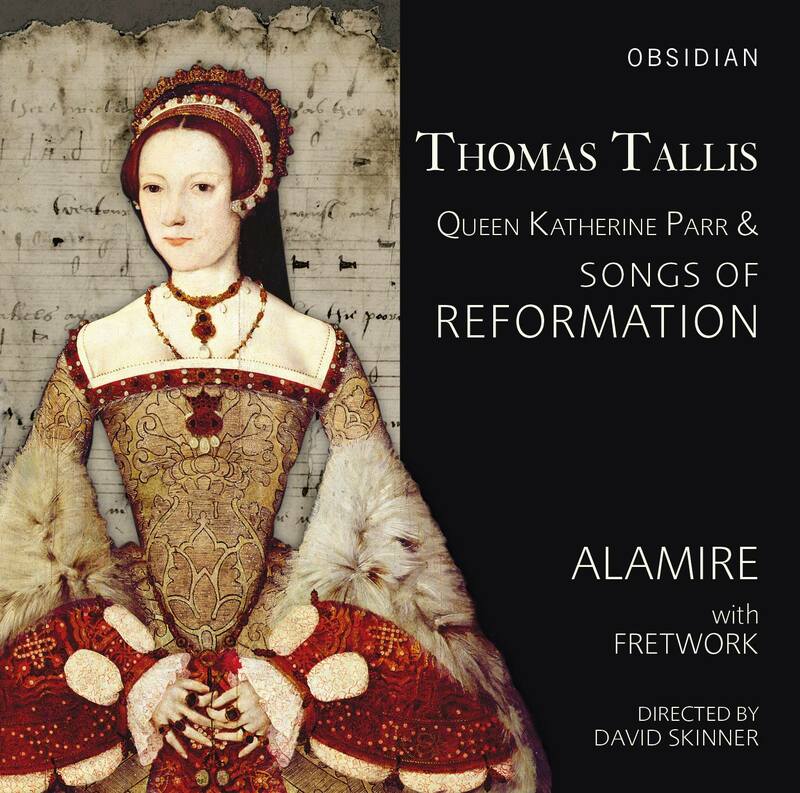 This superlative recording on the pioneering Obsidian label is the first chance to hear Skinner’s reconstruction of Parr and Tallis’s collaboration side by side with its famous original, with some of the composer’s later settings in the English language on the side. Skinner’s 14-strong Alamire is in matchless form here, rich, resonant and captured in the ideal reverberance of the Fitzalan Chapel at Arundel Castle. Just listen to the opening Gaude Gloriosa. Alamire’s red-blooded, dramatically dark reading will blow your socks off – they’re a semitone below The Cardinall’s Musick and a full tone-and-a-half below the ethereal Tallis Scholars. Skinner’s attention to text brings out Tallis’s shapely lines and bold harmonies in an illuminating reading that leaves much of the competition standing. Parr’s Se Lord and Behold benefits from all those virtues. Lines like “for they are treatours & raybels agaynst me” and “Stande up (O lorde) and punishe this naughtie people” are gloriously weighty, while the contemporaneous 16-minute Litany, the work of Tallis and Archbishop Thomas Cranmer, comes over as powerfully hypnotic (Edward Grint a compelling Cantor). Elsewhere, the English works – in what was a relatively new vernacular – are equally engrossing thanks to the choir’s fine diction and, again, attention to what these pieces are actually trying to say, from the heart-stopping purity of Verily, Verily, I Say Unto You to the cheerful caroling of O Lord, In Thee Is All My Trust. Fretwork, always a class act, contribute four pieces performed on viols to provide the icing on top of Obsidian’s cake. I Fagiolini may be called “The Little Beans” in Italian, but they make a big, beautiful choral sound.